A few weeks ago, I met with a friend for an afternoon walk. And about one hour prior to our walk, I ate something that didn’t settle well in my stomach. Consequently, I felt uncomfortable and sporadic pains in my lower abdomen. However, the pains were not enough to keep me from our visit; and, it would be a good way to digest the food that caused the pain. Moreover, it was a chance to get exercise, fresh air, sunshine, and good conversation. While we walked, I gave myself Reiki by placing my hands on my lower abdomen. My friend noticed and offered to give me some energy work. Gladly I accepted; and we found a bench alongside the trail. Although my abdomen was the location of my pain, she stood behind me and did not place her hands on my body at all. Her intention to decrease my pain was enough to channel the energy where it was needed. During the short 15 minute treatment, my stabbing pains subsided and my abdomen was only slightly tender. From this experience, I learned two things as a Reiki Master. First, remember that intention is powerful. Thinking about where you want to focus your energy (whether it be Reiki energy or your daily energy) will guide you towards change. Second, even though I can treat myself with Reiki, sometimes it is nice to let another heal and care for me. Yesterday I had the opportunity to treat a woman who just got a cast taken off of her wrist. She came to the session in a lot of pain and was wincing when she moved her arm. I began the session by first grounding her at her feet, then proceeded to work on her arm. I placed one hand on her shoulder, and my other hand above her aching wrist. During the few minutes at this position, I felt my hands tingle–actually, there was more tingling in the hand that was above her wrist than the hand placed on her shoulder. This uneven tingling led me to realize that both of my hands needed to be placed over her wrist; so that is where I moved my hands. I stayed at that position for the rest of the treatment, aside from moving back to her feet to ground her during the last minute of the session. When she was done, I asked her how she felt, and she said much better. Although, I didn’t specifically ask her how her wrist felt, my Reiki Master spoke to the woman directly afterwards and relayed the woman’s experience to me. 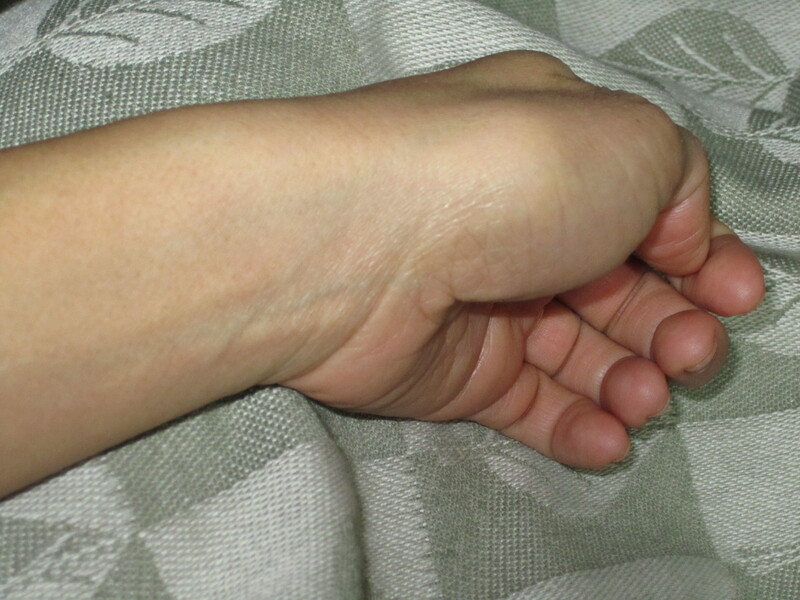 When the woman finished her session she looked down at her arm because she couldn’t feel the pain that existed in her wrist anymore. She was able to move it around without wincing, unlike 20 minutes earlier. What a gift I have been given–to have the ability to lessen and take away this pain and suffering. I give thanks to all who have let me treat them, and I thank you for reading this. Welcome to my new blog site, As a Reiki Master, and thank you for viewing. I have decided to create this blog because I feel that there is not enough information for beginning Reiki practitioners. I want to explain my experiences as a Reiki Master because when I was a first and second-degree practitioner, I was uncertain of the sensations and feelings I was experiencing. So, if you are a beginning Reiki practitioner, be patient, ask questions, and listen to yourself. Keep returning to this site because I cannot wait to share these enlightening and amazing stories. This morning I decided to create my first post on this blogsite. I created this site a few weeks ago, but haven’t started between work, my other job, Scrapbook Stories, and planning Christmas. Can you think of 5 things you were blessed with….today? Do this everyday and you’ll realize the little things that make your day better. My five? Hmmmmm; 1) filling my house with family, 2) the ability to provide a meal for them, 2) down time with my husband, 3) talking with my mom and dad because we won’t be seeing them on Christmas, 4) time with great friends Beau and Oly, and 5) a great husband who took care of the cooking while I anxiously finished a scrapbook gift. Oh wait, that’s six…nice!!! The concept of counting at least 5 blessings you had per day is something that I learned several years ago from a massage/Reiki practioner at Bellingham Body Works in Bellingham, Washington. What I learned and frequently practice is, before you go to sleep every night, write down or think about 5 blessings that occurred during your day…even the little things. For example, a great conversation you had with a co-worker that you hadn’t had before, or a great brew of coffee that was perfectly strong and sweet, or the satisfaction of knowing you took time for yourself to think about those 5 things. Give it a try and see how more productive and happy you are about your life. Your life is better than you thought it was…it always was- you just weren’t recognizing it. Thank you for taking time to read my post.